Political partisans are whipping ahead with their Grinch-like views about public support of any kind for health care for less affluent Americans — and now the nation’s children are bearing the brunt of mean-spirited policies. Georgetown University reported that for the first time in almost a decade, the number of children lacking health coverage increased, with roughly a quarter of a million more youngsters uninsured this year versus last. She and other children’s advocates blame the Trump Administration and the Republican-controlled Congress for pounding on programs that would help the poor, working poor, and middle-class with health care and all-important health insurance. These efforts include the Affordable Care Act, Medicaid, and CHIPs, aka the federal Children’s Health Insurance Program that provides coverage to 9.4 million poorer youngsters. In their first year in power, the Trump administration conducted an all-out campaign with GOP congressional allies to repeal Obamacare. They failed. But they also asserted that their labors on the ACA and to give wealthy corporations and the richest Americans a giant tax cut — now estimated to cost the country more than $2 trillion over a decade — left them little time to renew CHIPs. The kids’ program, which long has won bipartisan support, finally got the green-light, but not before damage was done. Alker and other advocates say the GOP beating on the ACA, CHIPs, and Medicaid, another key program for the poor and middle class, has led many in the public to believe they cannot benefit from these efforts and to pull away from them. It also hasn’t helped that the administration has made noisy proposals to attack immigrants, undercutting their use of public programs — including those that would benefit their health and the well-being of their children — by linking them to deportation efforts and newcomers’ hopes for paths to citizenship. In my practice, I see not only the harms that patients suffer while seeking medical services, but also their struggles to access and afford safe, efficient, and excellent medical care. Health insurance plays a fundamental role in advancing the well-being of individuals and families, not only increasing their access to care but also helping, at least some, to protect them from financial ruin due to sky-high medical costs. In the wealthiest nation in the world, where the annual health care spend exceeds $3 trillion but the outcomes are nowhere as good as comparable countries, health care should be a right not a privilege. But Republicans, almost as a religion, argue that government should have zero role in health care and that individuals should be on their own and they should not share the risks and costs of medical calamities that are a heartbeat away for all. A federal judge in Texas may rule anytime now in a lawsuit filed by Republican attorneys general from multiple states — and opposed by Democratic counterparts — that the ACA should be thrown out because Congress, in its tax cut bill, repealed the individual mandate. That’s the requirement that Americans prove at tax time that they carry health insurance. Meantime, Trump officials have launched an administrative assault on Obamacare, Medicaid, and Medicare, including with harsh rules permitted at the state level that demand program recipients — many who are disabled, chronically ill, old, or children — work or prove repeatedly that they have sought work. The administration’s latest effort to undercut the ACA involves waivers that would be issued to states by the Centers for Medicaid and Medicare Services (CMS), which, critics say, is crafting a blueprint to wreck up Obamacare. This would occur because states would get more leeway to create their own, ACA-alternative insurance and exchanges, using money that would have gone to Obamacare for coverage that wouldn’t meet its tougher standards on items like pre-existing conditions, and minimum and lifetime benefits. Trump officials already have pushed hard for dubious short-term and association health plans. Critics say these may have low monthly premiums, but they also come with skimpy or negligible coverage. Americans, of course, can take action against partisan’s slashing at social support programs that taxpayers clearly support: They can keep benefiting from them, as, for example, 1 in 5 of us already do with Medicaid, which isn’t just a program for the poor but also for many in the middle class. 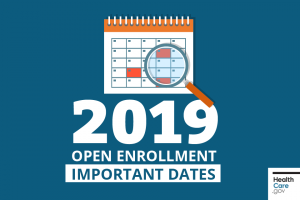 If Trump officials cut the funding to let qualified participants know they should sign up every year for health coverage on ACA exchanges, well, let’s spread the word ourselves. And if folks we know can benefit, let’s get them to healthcare.gov for information on how. Do it — by the deadline. If your youngsters might be covered by the CHIP program, there are online resources to check out here, too. Maybe all of us in Whoville also can reform those health care-killing Grinches in this holiday season?